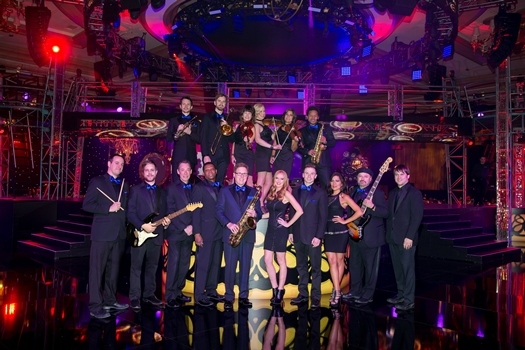 Winner of the BizBash Entertainment Act of the Year, voted 2015-2018 Best Band by Make It Better Magazine, and acknowledged by Chicago Magazine as the “Top Choice” for a dance band in the city, the Ken Arlen Evolution Orchestra has ignited thousands of special events with its unique style, stage presence and contemporary music selection. 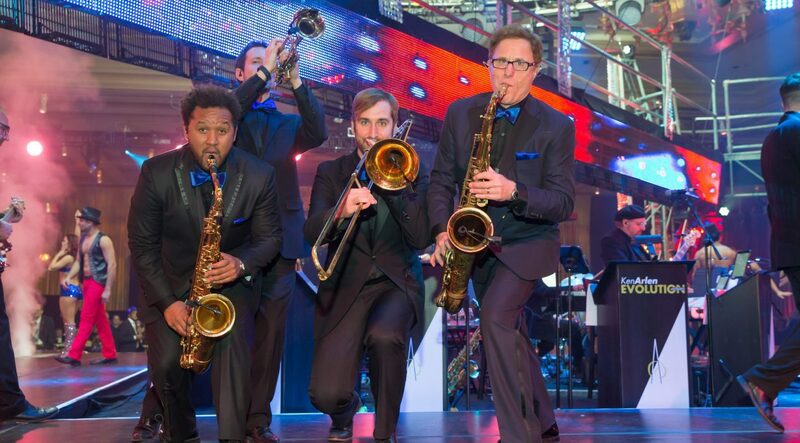 The Ken Arlen Evolution Orchestra delivers an incredible energy geared for today's brides and grooms! Imagine a band with 6 incredible vocalists, our Sirens rock violins, sizzling horns, and the tightest rhythm section in the country. Using the latest technology, this band is able to perform from any part of the room and make it sound like a live concert of the original artist. Prior to beginning her tenure with Arlen Music, Caitlin developed her unique abilities as a musician through a variety of opportunities, including featured roles in musical theatre, leading and performing in multiple pop, jazz, and cover bands at legendary venues both nationally and throughout Chicago, arranging and singing with a female a cappella quartet, and engaging clients as a spokesmodel and performer for Toyota. Her powerful and versatile voice makes Caitlin a treasured member of Evolution! Michael Avery is one of the Windy City’s best-kept secrets. 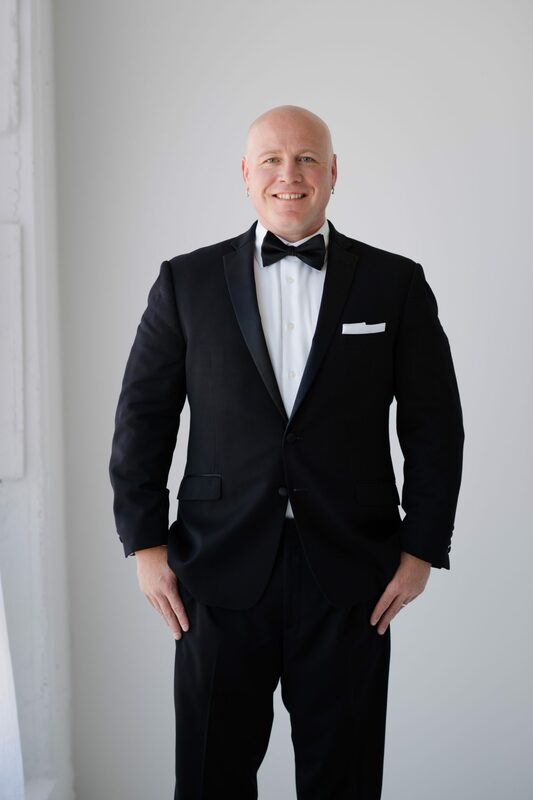 A professional front man and studio vocalist, he has performed at some of the most prestigious private parties and events in Chicago and abroad. 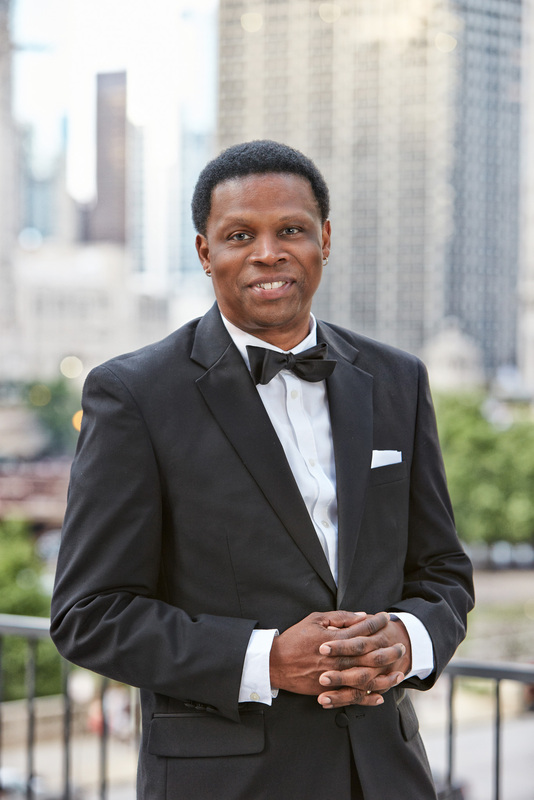 His experience includes performances with the Chicago Catz, a European tour with Mavis Staples, lead vocalist of the legendary Staple Singers, as well as singing a duet at a recent gala in Jamaica with Gladys Knight. Mike also enjoys expressing himself as a songwriter, believing that music is a healing force that crosses all barriers. Mike recently released his latest CD, Destination Love. His first love, however, will always be live performance. Cristina Sanchez, a Ken Arlen Orchestra veteran (’01-’05), returns her trailblazing R&B sound to our vocal team. 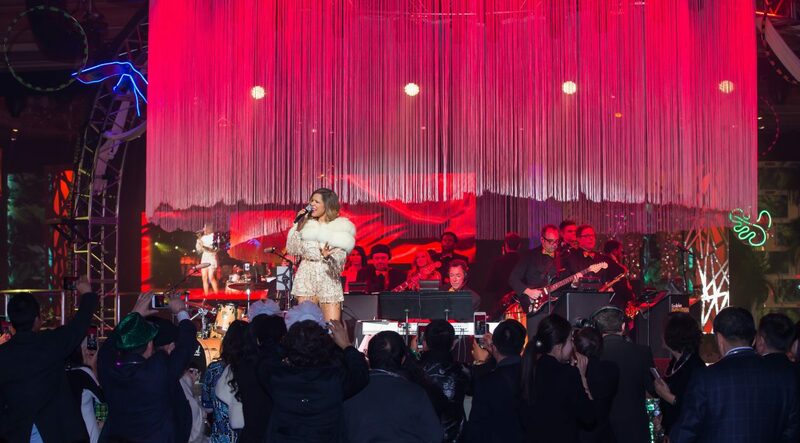 A Chicago-based recording artist and two-time winner of New York’s legendary “Night at the Apollo Theatre,” Cristina lights up the stage with her magical mix of Classic Soul, Latin, and R&B/Pop. With a performance style that rivals prominent artists such as Aretha Franklin, Beyoncé, and Rihanna, Cristina has a soulful and rhythmic edge that mesmerizes audiences. Her debut single, “Free,” stayed on the Billboard R&B Singles and R&B Singles Sales Charts for seven weeks. Cristina was recently chosen to perform on R&B star R. Kelly’s world tour, has sung with Frayne and Bobby Lewis and Heather Headley, and toured as a solo artist in China as well as other European venues. Ben Scott started singing at the age of two, and hasn’t stopped. He studied music at Western Michigan University, where he performed all over the world with the legendary vocal jazz ensemble, Gold Company. 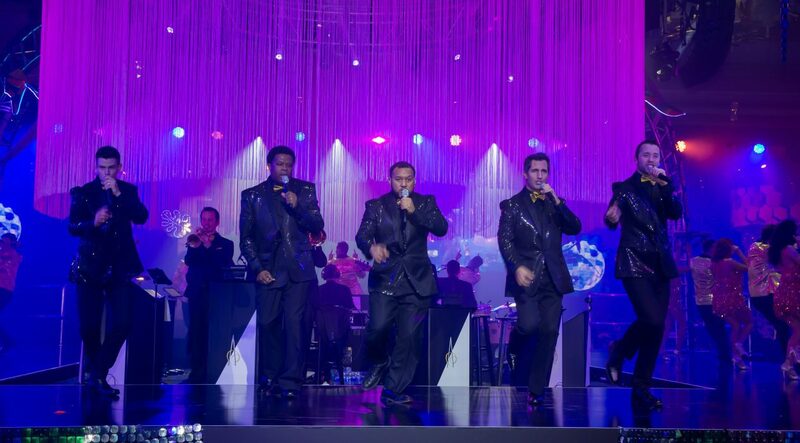 Ben has shared the stage with many great musicians, including Kurt Elling and Take 6. He has toured across Europe, Australia, New Zealand, and Fiji with the many choirs and jazz ensembles that he has been in. He has also performed in Northern Michigan at Dill’s Olde Towne Saloon and the Shanty Creek resorts, giving him a chance to showcase his wide vocal range and ability to perform in many different styles. 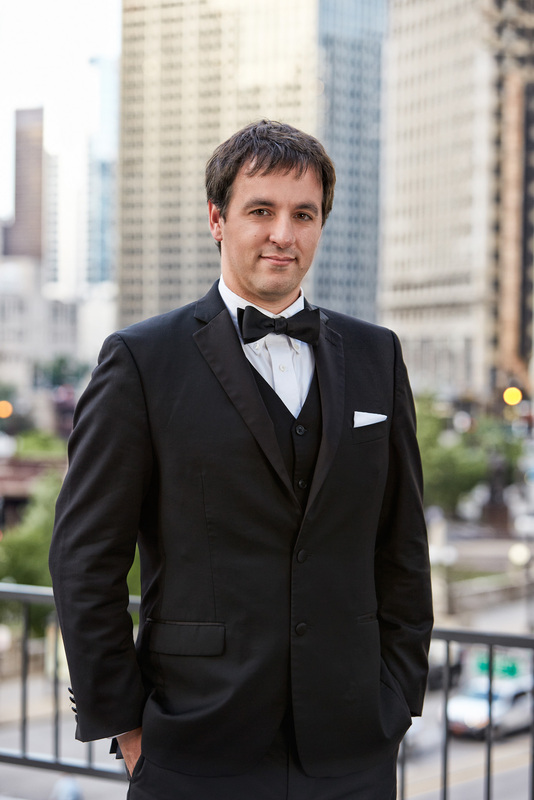 Since moving to Chicago, Ben has performed with many of the top-rated party bands in the city, and is very happy to be able to perform with the Evolution Orchestra. Neil is a graduate of the American Conservatory of Music, where he studied both classical and jazz performance. He has become one of the most in-demand session keyboard players in the city and has recorded hundreds of TV and radio commercials. In the summer of 1998, Neil was specially chosen as one of the select musicians to perform and record the opening theme of the Oprah Winfrey Show. He has also performed with such nationally known artists as Luther Vandross, Bebe and Cece Winans, Martha Reeves, Gladys Knight and Ed Thigpen. 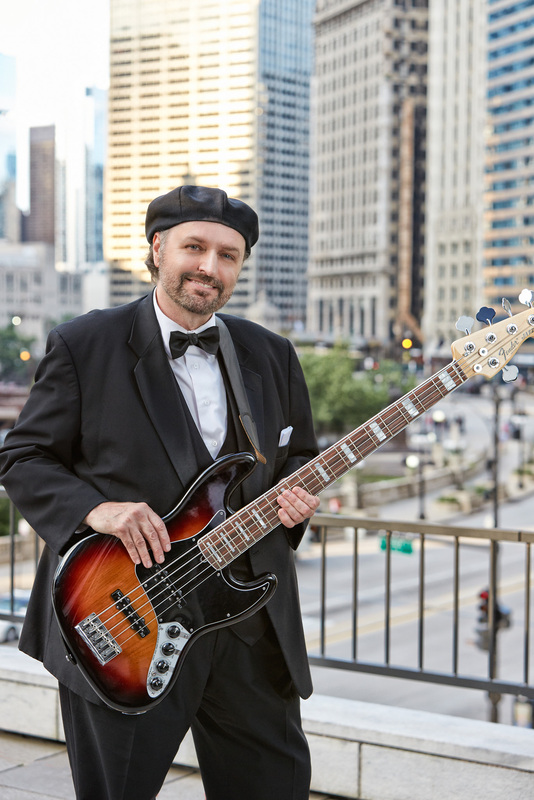 A top session player from Chicago, Mark is a master of both acoustic and fretless bass. He has accompanied numerous jazz artists including Diahann Carroll, the Count Basie Orchestra, the BBC Big Band, the Artie Shaw Orchestra, Dave Liebman, Rosemary Clooney, the Cincinnati Symphony, the Atlanta Symphony, Lena Horne, Carol Lawrence, Angela Bofill, Michael Brandmeier and Mark Madsen. He has also performed at Carnegie Hall and the White House with Vic Damone. Frank Alongi has been creating music professionally for over 15 years. He has toured Central and South America with the rock group "Torre Fuerte” and holds an endorsement with Innovative Percussion Inc, and percussion innovator Kelly Shu. Frank is known for his ability to move effortlessly through various styles and for his expertise at incorporating electronic drum loops with a traditional drum set. We are thrilled to bring Frank’s unique brand of drumming to the Ken Arlen Evolution Orchestra! Chris Neal is an exceptionally versatile musician. He has shared his talents as a vocalist and saxophonist in the United States, Canada, Europe, and South America. 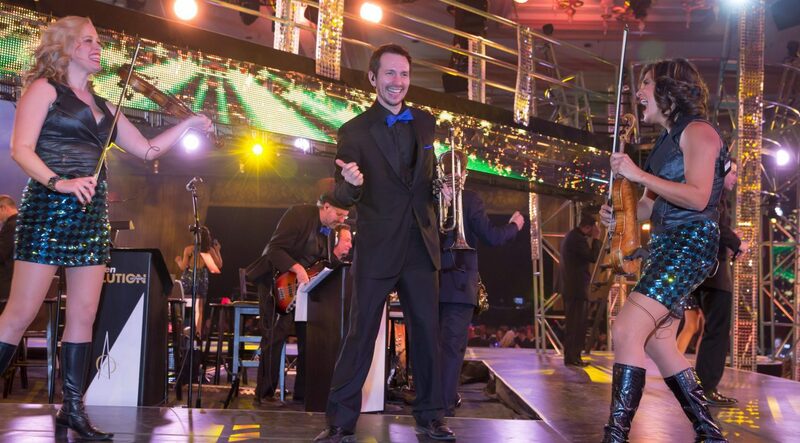 He has shared the stage with The Temptations, The O’Jays, Manhattan Transfer, Taj Mahal, Buddy Guy, Randy Brecker, Donald,Byrd, R Kelly, The Joffrey Ballet, Syl Johnson, and Umphrey’s McGee, and he is thrilled to be a lead vocalist in the Ken Arlen Evolution Orchestra! 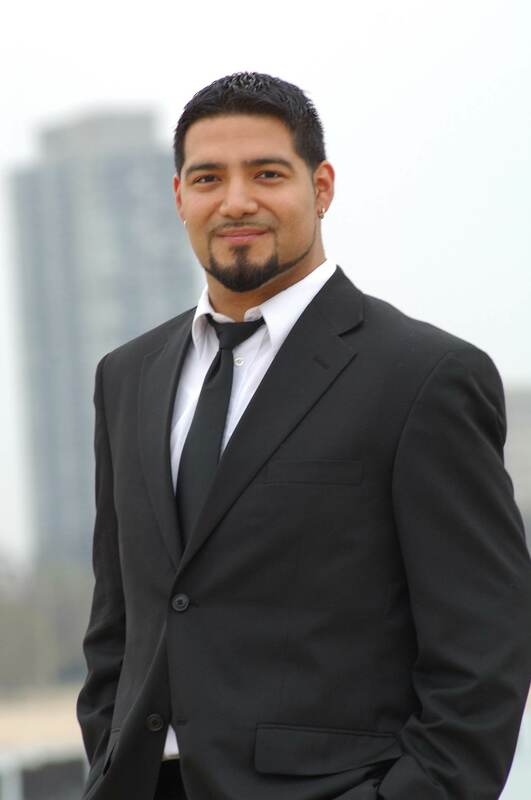 Victor Garcia is one of the most in-demand trumpet players in Chicago. He has had the opportunity to play with a multitude of artists from a wide variety of genres, such as Aretha Franklin, Arturo Sandoval, Spoon, Victor Manuelle, Nicholas Payton, La India, Fred Hersch, the Temptations, Steve Turre, Tito Puente, Jr., Paquito d'Rivera, Randy Brecker, Branford Marsalis, Roy Hargrove, Dr. John, Joshua Redman, the Isley Brothers and a multitude of others. His travels have taken him to Europe, Central America, and South America. In addition, he has recorded dozens of albums, two of which garnered Grammy nominations in 2005 (Angel Melendez & the 911 Mambo Orchestra) and 2008 (Sones de Mexico), and one which was nominated for a Latin Grammy in 2007 (Sones de Mexico). 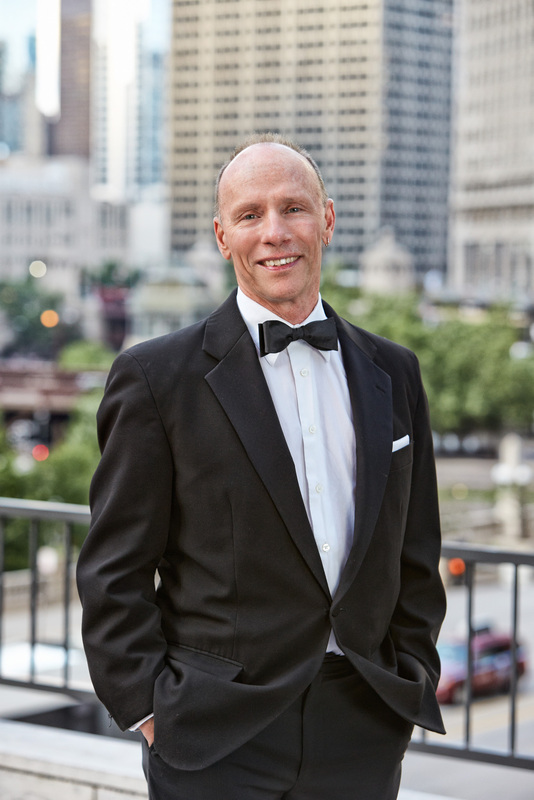 Victor also maintains a busy teaching schedule at the Music Institute of Chicago, Loyola University, Roosevelt University and University of Illinois at Chicago. We are excited to welcome him to the Evolution Orchestra! 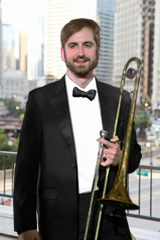 Andrew is a dedicated member of the Low Down Brass Band, Black Bear Combo, The Drastics, and Deals Gone Bad and of course, the Ken Arlen Evolution Orchestra. 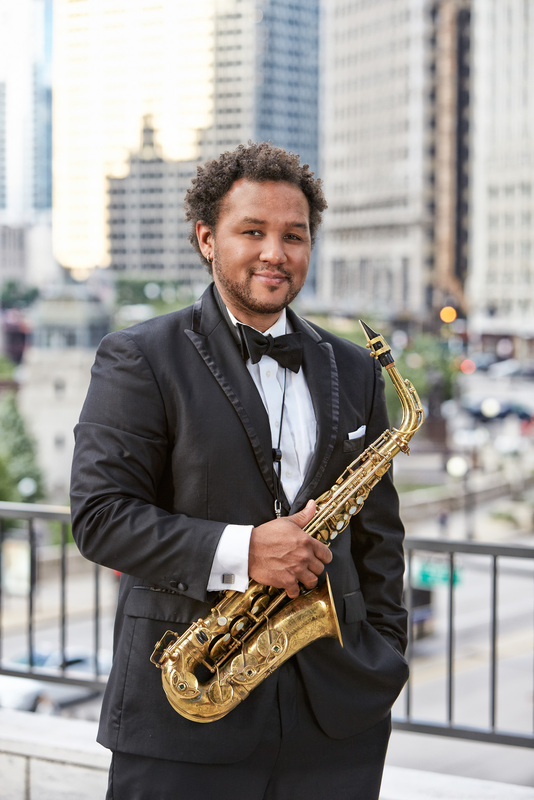 Andrew toured with the acclaimed Broadway Musical ‘In the Heights’ and the Number Group Soul Revue, backing legendary Chicago Soul Artists Syl Johnson and Renaldo Domino. He performed at the White House two times for President Barack Obama with Black Bear Combo. 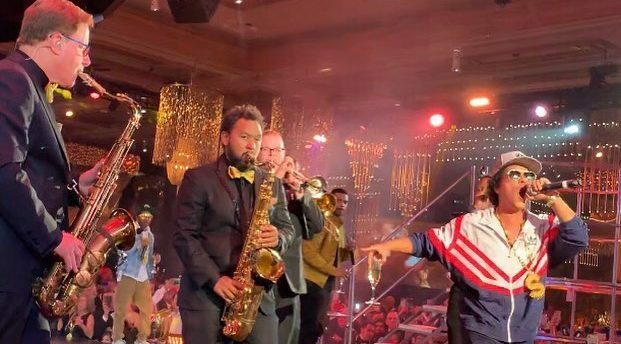 He has also performed at numerous major music festivals, including the Cotai Jazz Festival in Macau, Wakarusa, Riot Fest, Wilco Solid Sound Festival, Abruzzo Jazz Festival, Turbo Rock Festival in Italy, Montreal Ska Fest, Lansing Jazz Fest, Rootabaga Jazz Festival, and the Oprah Winfrey European Cruise Celebration. An East Coast native who began playing percussion in 1972, Rick has recorded with some of Boston’s top artists, including Patty Larkin. He moved to Chicago in 1998, recording on commercials for top corporations including McDonald’s, Coca-Cola, Dominos, Kellogg’s and many others. Rick has worked with members of the backing bands for John Mellencamp, Bonnie Raitt, Van Morrison, Billie Holiday, and Ben E. King, as well as Chicago acts Tirzah and The Primal Connection, Chicago’s multi-ethnic World rhythm percussion ensemble. Sylvia has been performing in the Chicago area for nearly fifteen years. 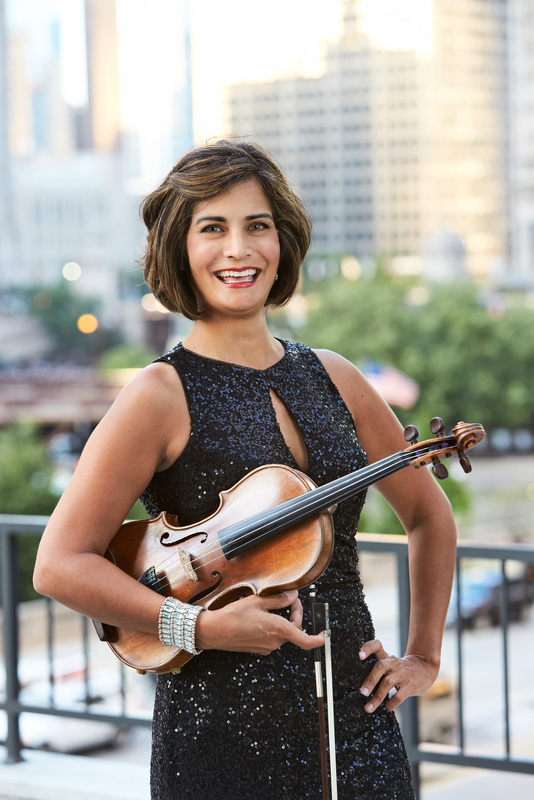 After receiving a Masters in Music from the New England Conservatory in Boston where she studied with James Buswell, Sylvia moved to Chicago to perform with the Civic Orchestra of Chicago. Since then, she has appeared with artists such as Linda Ronstadt, Smokey Robinson, Barry White, Donna Summer, Celine Dion, Johnny Mathis, Lyle Lovett, Randy Newman, Dennis DeYoung, Andrea Bocelli, Sarah Brightman, Bernadette Peters, Josh Groban, The Irish Tenors, as well as the Chicagoland Pops Orchestra and Rockford Symphony. She has broadcast live on WFMT and WTTW Soundstage. 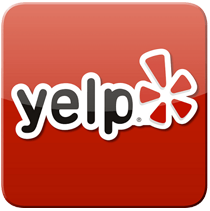 Sylvia also maintains teaching studios at Near North Montessori School and Northeastern Illinois University. Rebecca holds degrees in Music Theory from the University of Illinois and the Eastman School of Music. An Oak Park native, Rebecca has a rich and varied musical background. She has played in numerous symphony orchestras, backed such popular artists as Bobby Vinton and The Moody Blues, performed in avant-garde chamber works, and toured the US and Europe with the company of Amsterdam choreographer Beppie Blankert. Recently, Rebecca has performed in premieres of works by contemporary composers Augusta Read Thomas and Louis Andriessen, and has sung with Bella Voce, a Chicago a capella choir. Caroline is a graduate from DePaul University. 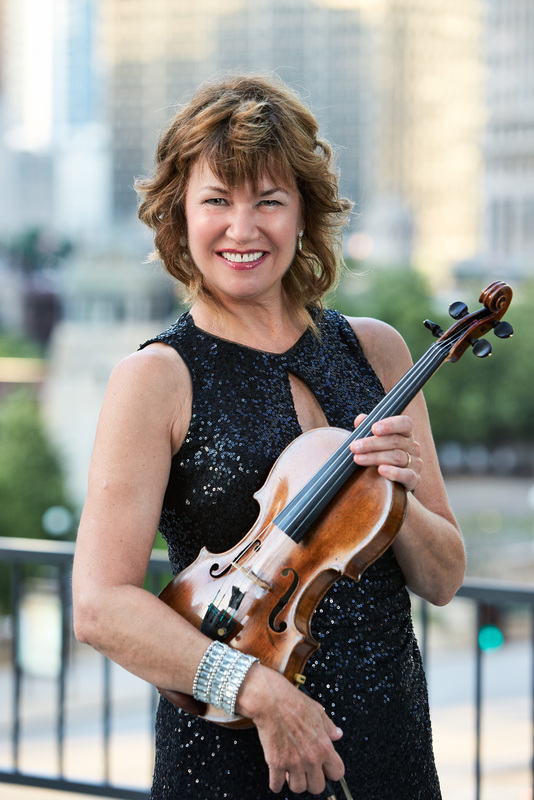 She is currently the Concertmaster of the Dubuque Symphony Orchestra in Iowa and was featured as a guest soloist performing the Saint-Saen’s Violin Concerto No. 3. She is also a member of the Northwest Indiana Symphony Orchestra. She has played in the orchestras for the Joffrey Ballet Company, the Chicagoland Pops Orchestra and several different opera companies. Caroline has had the opportunity to perform with such celebrities and bands such as Bob Hope, Tony Bennett, Andrea Bocelli (on the Oprah Winfrey Show), Charlotte Church (in Hawaii), Garth Brooks, Celine Dion and Josh Groban (nationally televised), Ray Charles, Led Zeppelin (Page-Plant Tour), The Moody Blues, Kansas, Electric Light Orchestra, The Temptations, Mannheim Steamroller, Diana Ross, The Three Irish Tenors, and others. 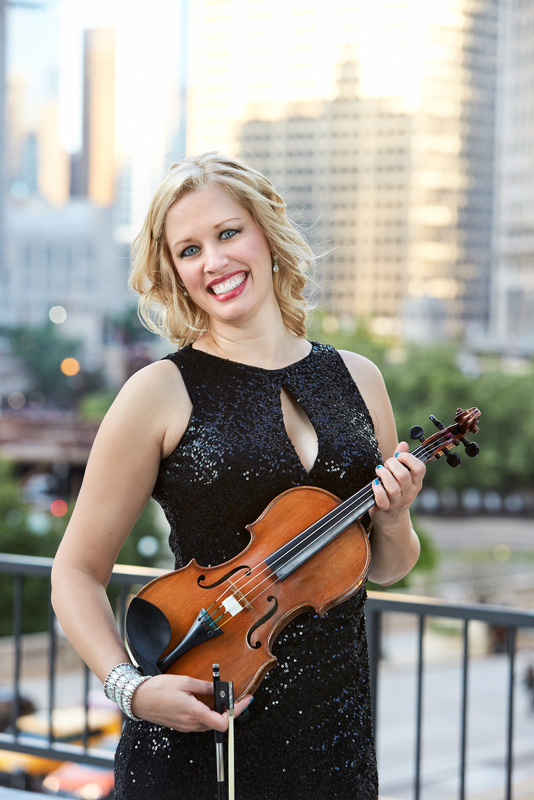 She enjoys freelancing in the Chicagoland area and plays in various chamber and quartet ensembles as well. 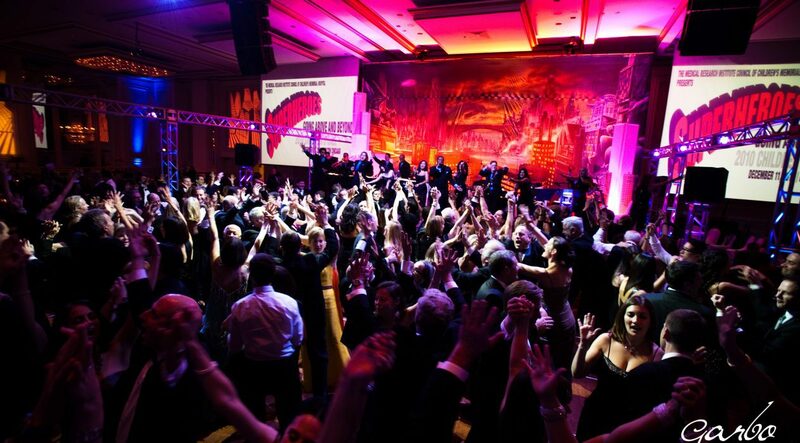 Here's a great article on how live entertainment can help reach fundraising goals! 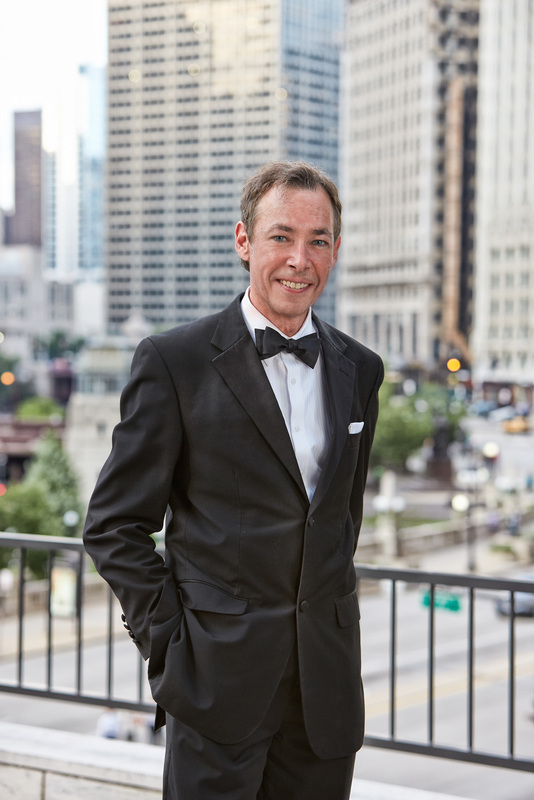 Learn more about Ken Arlen in a Q&A from Modern Luxury! 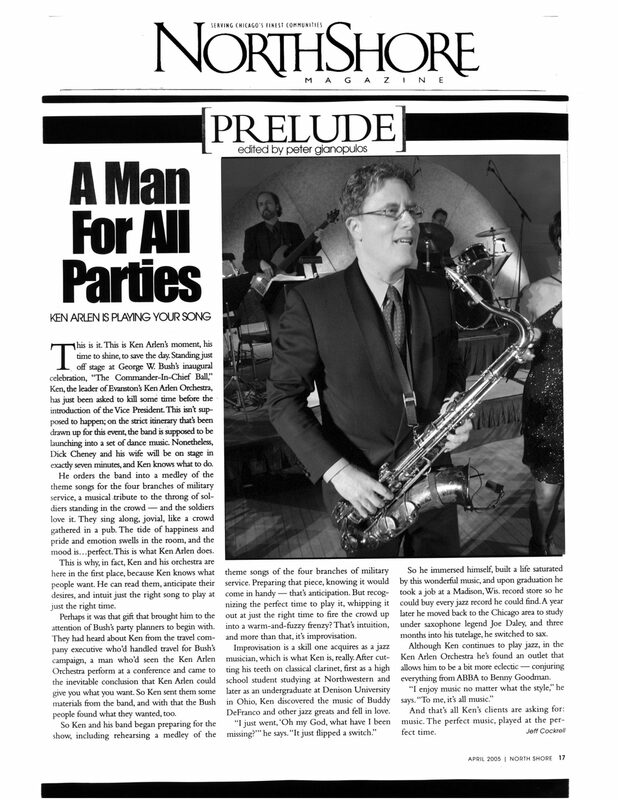 Authority Magazine Interviews Ken Arlen! 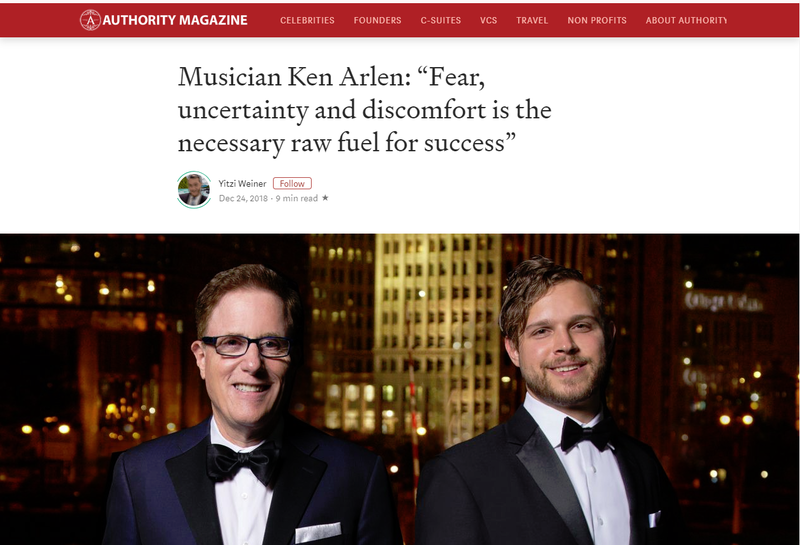 In a wide-ranging interview, Ken Arlen talks about his mindset as a musician and business owner, the history and future of Arlen Music Productions, and offers some funny anecdotes along the way! 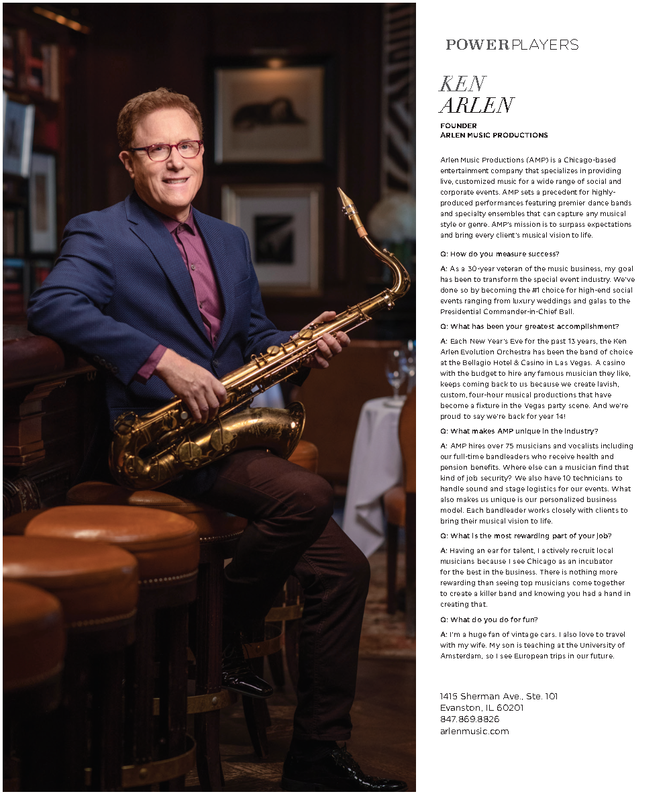 Ken Arlen in Modern Luxury! 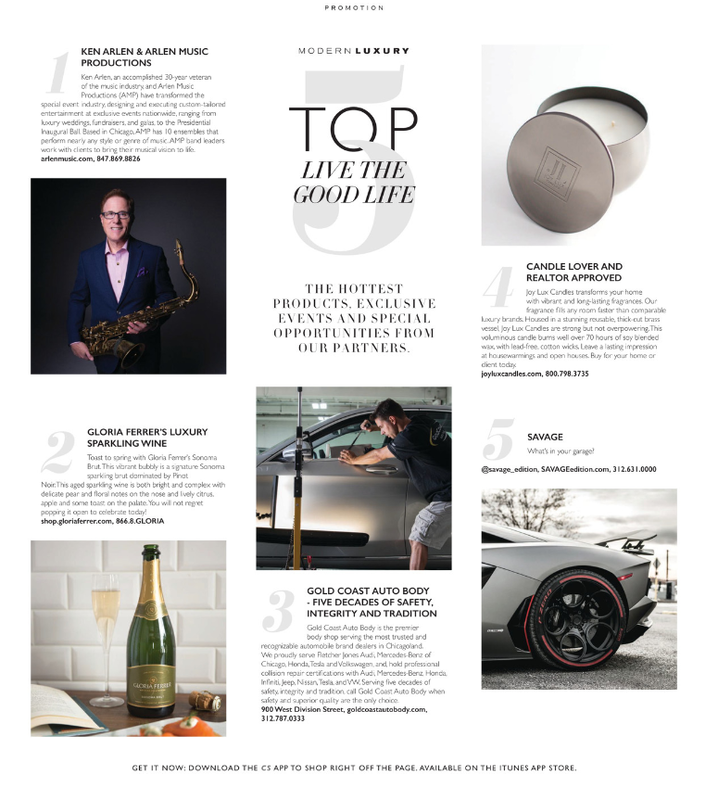 Ken was selected as one of the "Top 5: Live The Good Life" participants in Modern Luxury! 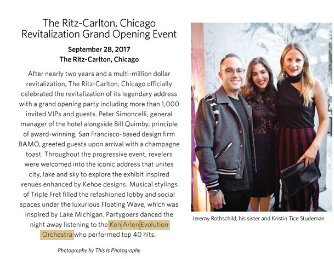 We were lucky to be called upon to provide the entertainment for the Ritz-Calrton Revitalization Grand Opening Event in September! 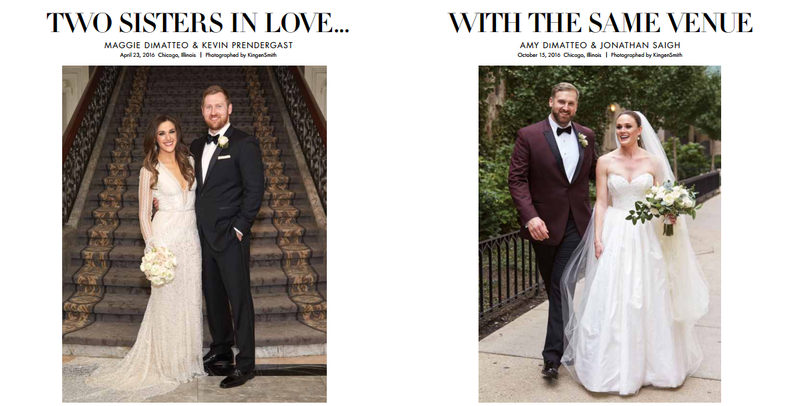 We're so honored that both DiMatteo sisters chose us for their beautiful weddings at the Four Seasons! Congrats to the Lincoln Park Zoo for raising 1.4M for its new visitor center! Make It Better Best Band Threepeat! 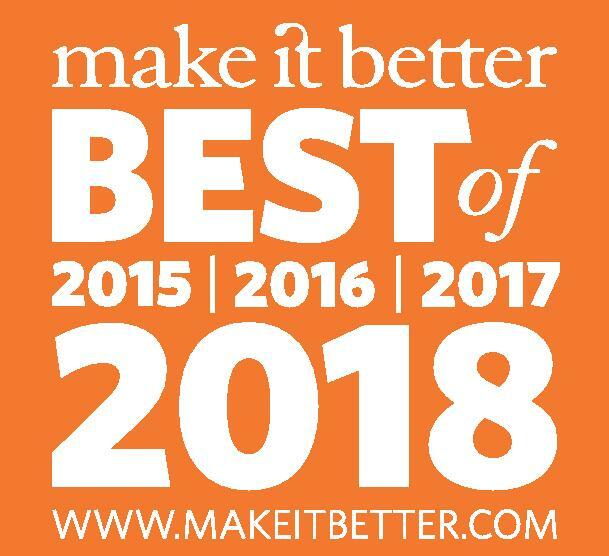 We're so proud to have won Make It Better's Best Band for the third year in a row! 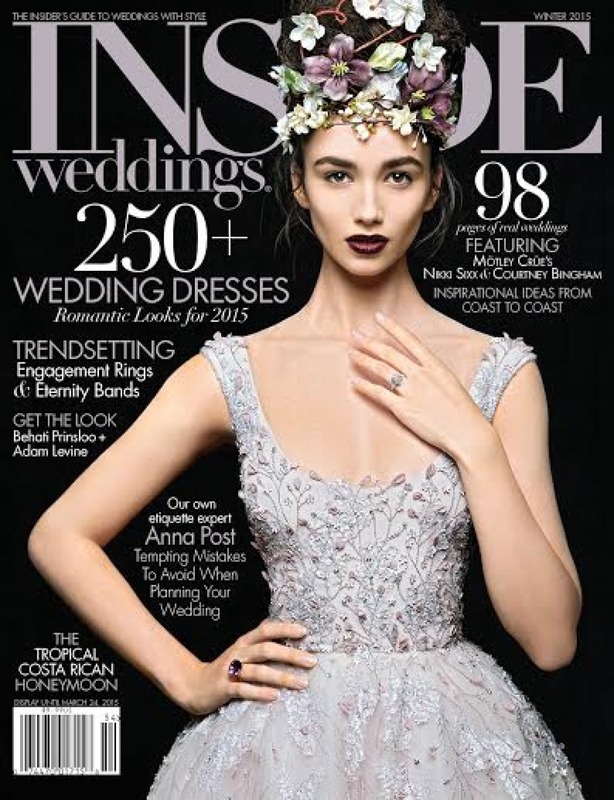 Check out the beautiful write-up in Inside Weddings for Susie and Joseph's Wedding! A fun conversation in the current issue of The Men's Book Chicago with Evolution Co-Leader, Caitlin Simone! (Photo taken by Katrina Wittkamp at Thompson Chicago.) Click on the photo below to read the full article! 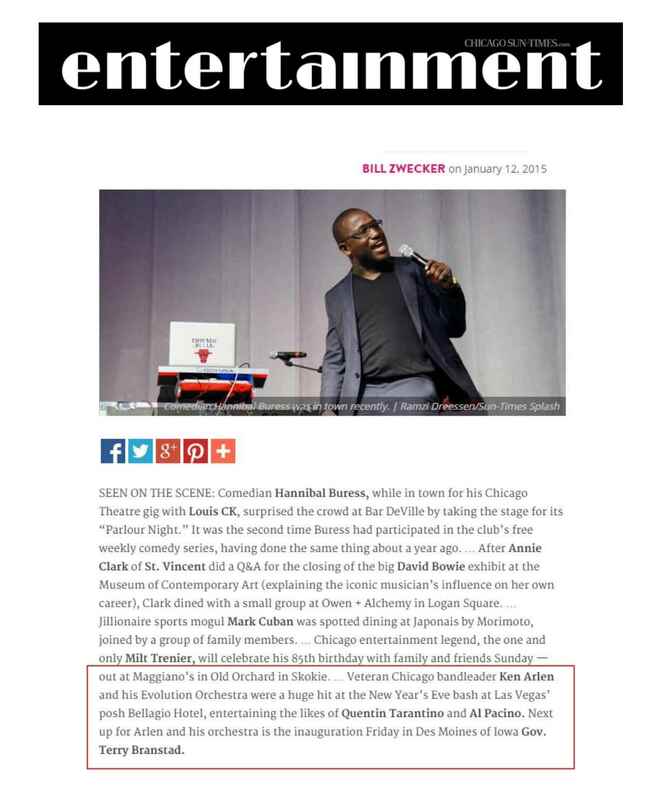 Thanks to Candid Candace for her review of the Bear Tie Ball on February 28, 2015. Check out her write-up in the Chicago Tribune! Quentin Tarantino and Al Pacino at the Bellagio! 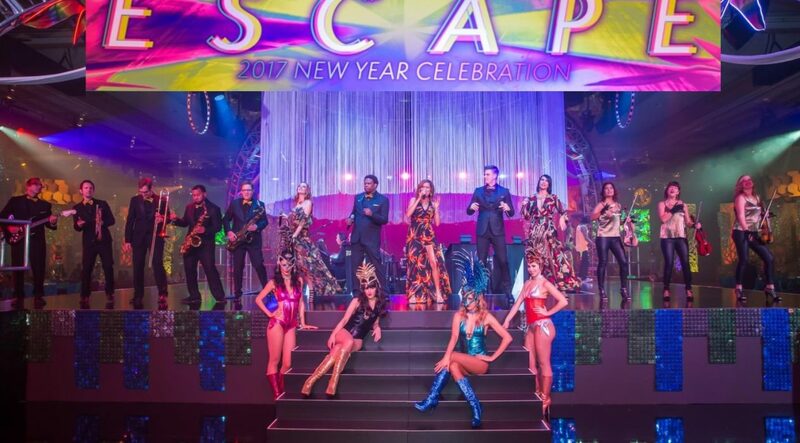 We were so fortunate to entertain Hollywood stars Quentin Tarantino and Al Pacino at our annual performance at the Bellagio for NYE! 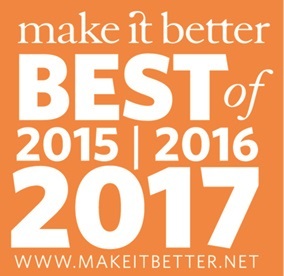 The Ken Arlen Evolution Orchestra has been featured on Make It Better! Click on the image below for more! 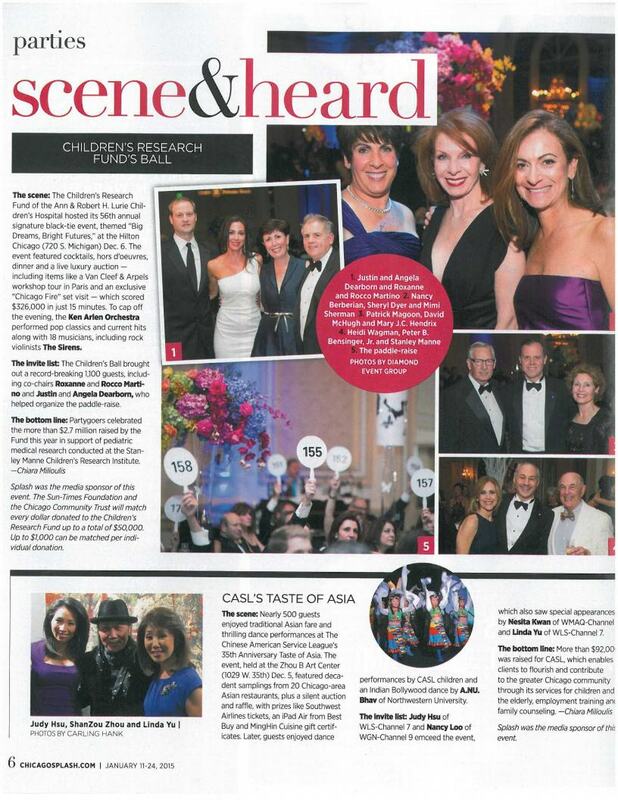 The Ken Arlen Evolution Orchestra and Sirens were featured in Chicago Splash Magainze for their contribution to the 2014 Children's Ball! 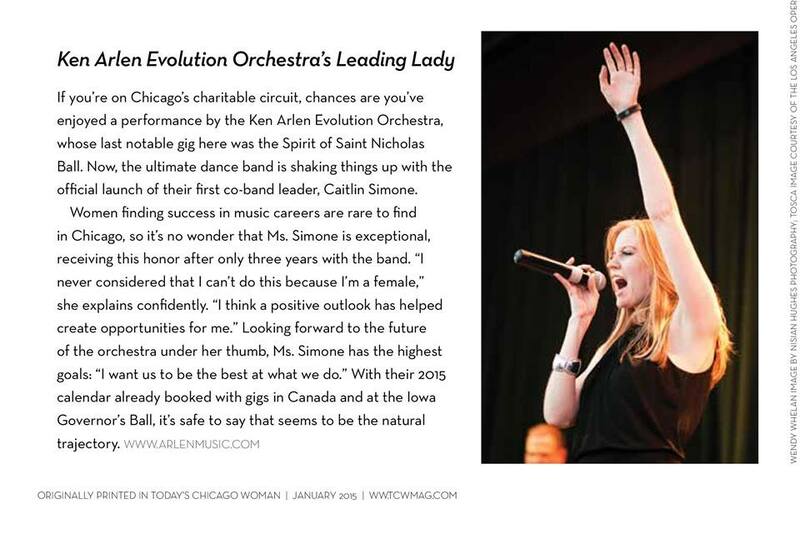 We're so proud of Evolution Co-Leader Caitlin Simone for her spotlight in Today's Chicago Woman! 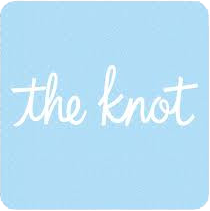 Bravo TV Star gets hitched! 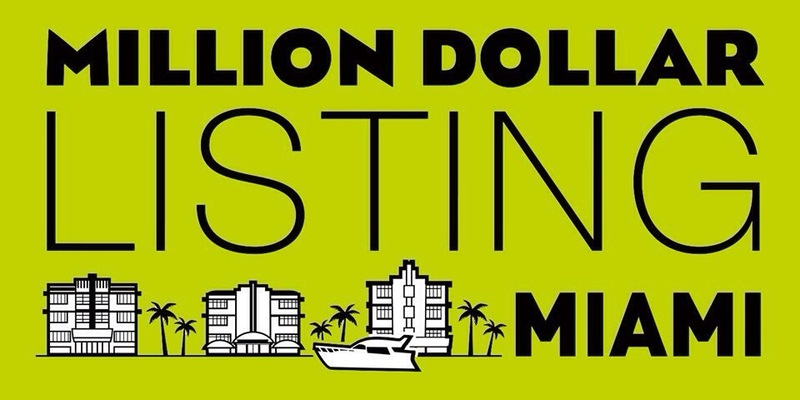 Ken Arlen Evolution Orchestra performs for Bravo TV Star Chad Carroll (Million Dollar Listing Miami) and his wife Jen Stone! - Click images for more! 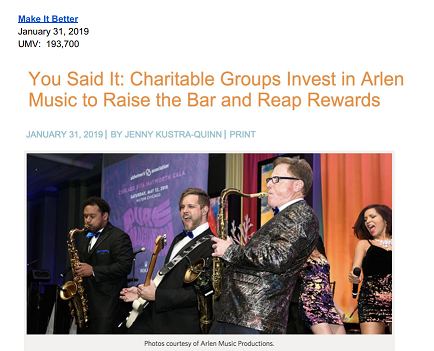 Click on the image above to read about the Ken Arlen Orchestra's performance at the Commander-in-Chief's Ball in Washington DC. Ken, thanks so much for another fantastic Rita Hayworth Gala performance. I don’t think we could have fit one more person on the dance floor – it was packed until the very last dance! Everyone had a great time and your music was wonderful in every way. Thank you for everything you did to pull out all the stops. As always, we really enjoyed working with you. Anne Marie Arzt, President, EventScape, Inc. I just wanted to take the opportunity to say thank you for making the 2018 Bravo Gala yet another night to remember for us here in Des Moines. Best part for me in my role as Board President was the opportunity to get to know you better through the event. 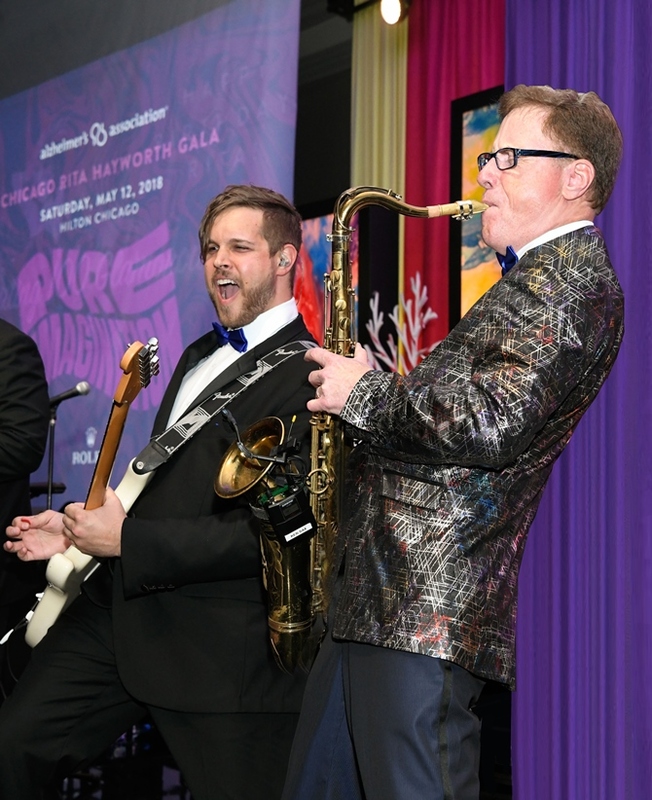 Rest assured that those of us involved with the Gala know that you and your team are a big reason why people keep coming back on a sold out basis year after year. 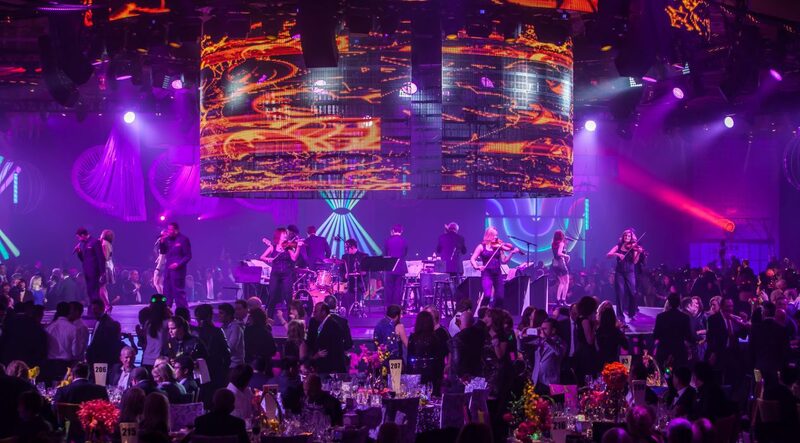 I am more convinced than ever that the Bravo Gala is successful only because of Ken Arlen and the Evolution Orchestra. Your team was brilliant! Ken--many thanks for doing an amazing job on Saturday night! The dance floor was packed and our guests loved the music! You were wonderful to partner with and I appreciate all that you did. 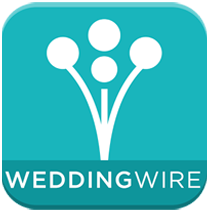 Ann Marie Arzt, President, EventScape, Inc.
What can we say – you hit it out of the park again! Our guests are raving about what a wonderful job you and the entire orchestra did at our Hope Gala. Thank you for rolling with our special requests and handling them wonderfully. We really appreciate your partnership! 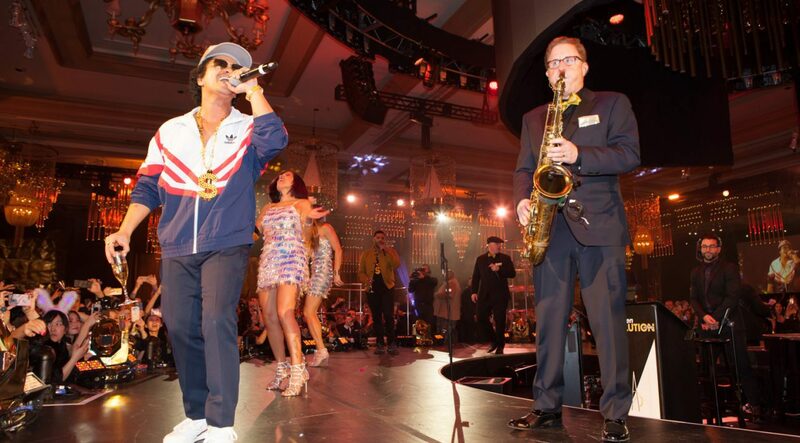 Ken, I just wanted to thank you for playing a part in an incredible night on Saturday at our UNICEF Hope Gala! We had such an amazing event, and feedback from our guests has been overwhelmingly positive. The opening song was AMAZING! Such a fun element to add to the gala!! 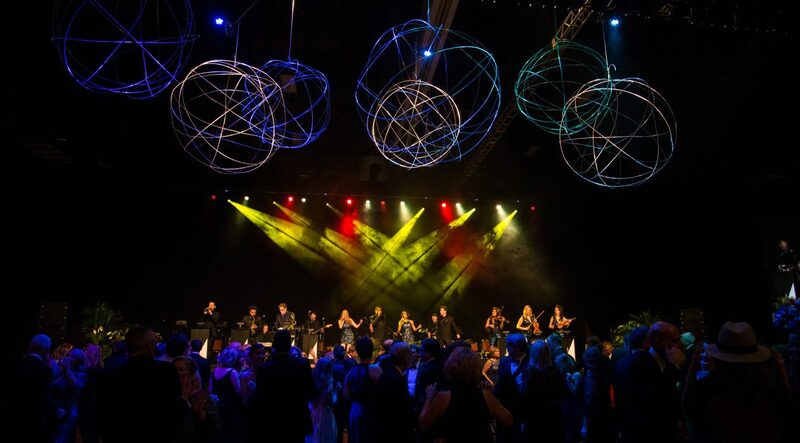 All our guests loved dancing along with the Orchestra throughout the night, as usual! You guys are so wonderful. Look forward to working together again in the future! 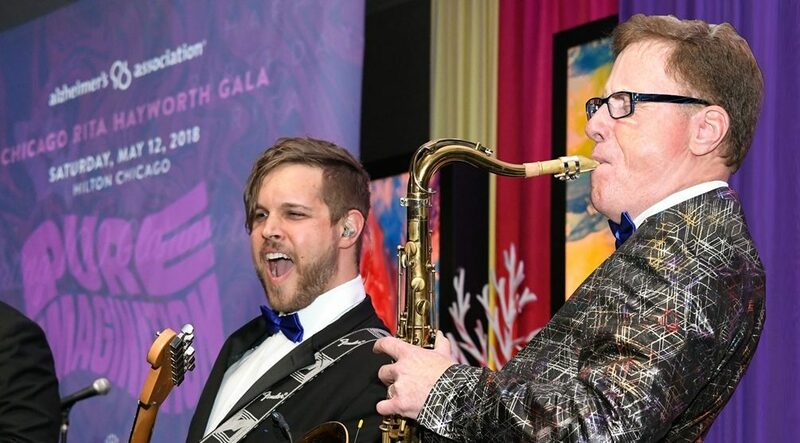 The gala was an outstanding celebration of the vibrant organizations that bring arts, culture, and heritage alive in central Iowa. Your efforts helped to top our guests’ expectations and make sure that the Bravo Gala remains central Iowa’s premiere event. 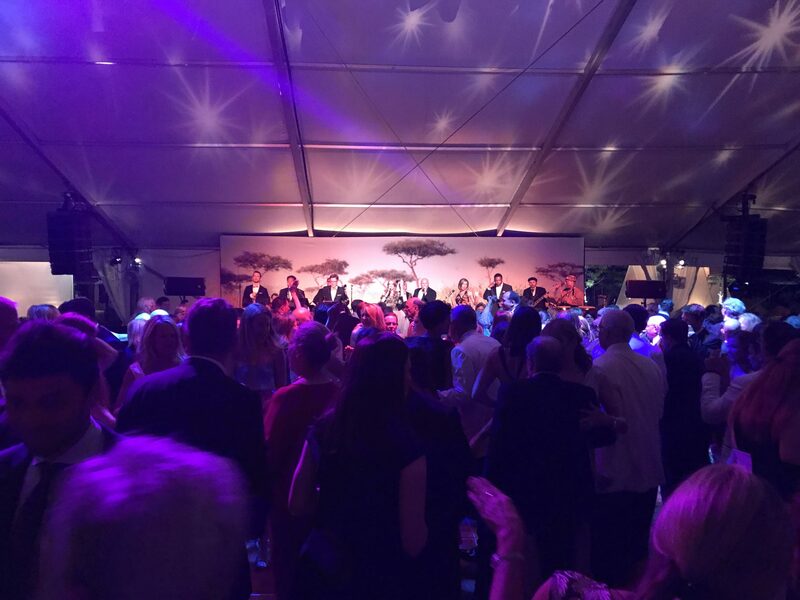 Once again, your orchestra provided the perfect accompaniment to the evening, ensuring our guests had an amazing time dancing the night away! 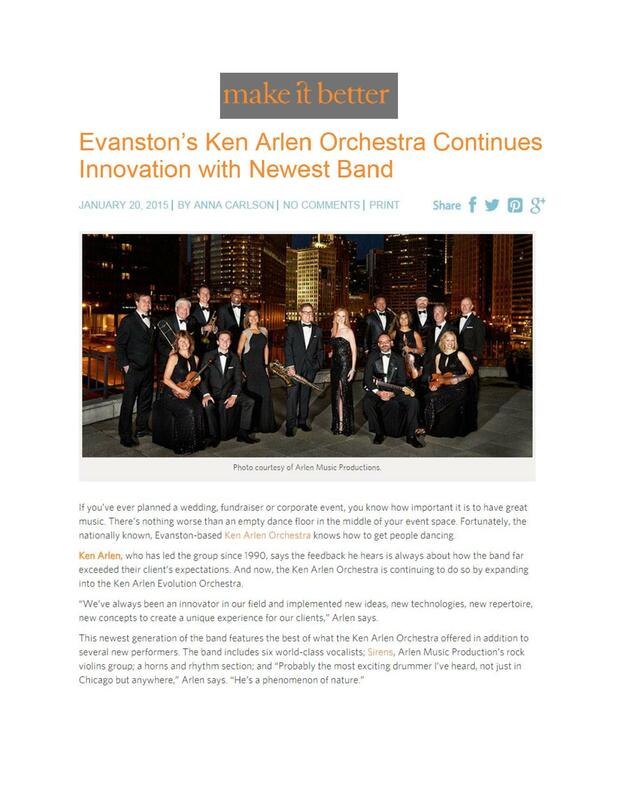 I am absolutely certain that the Ken Arlen Evolution Orchestra is a key ingredient to the event’s success and we are grateful for your 10 years of commitment to being part of our celebration. 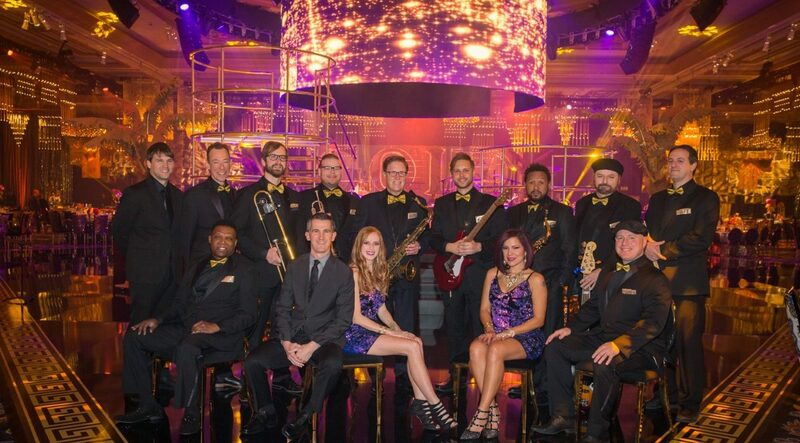 Thank you again to you and all of the musicians that made last Saturday a truly sparkling event! Ken, you have been responsible for making the Bravo gala our community's premier event, in large part. I know I speak on behalf of our community when I say, "thank you." Last night, I tried to keep track of how many people told me that the band was fantastic. I lost count at 200. Those who had not heard you previously were in awe. The depth of the orchestra is remarkable. When we left at midnight, the crowd was over 300 strong. This is the only event where that many people are still having fun at that hour. 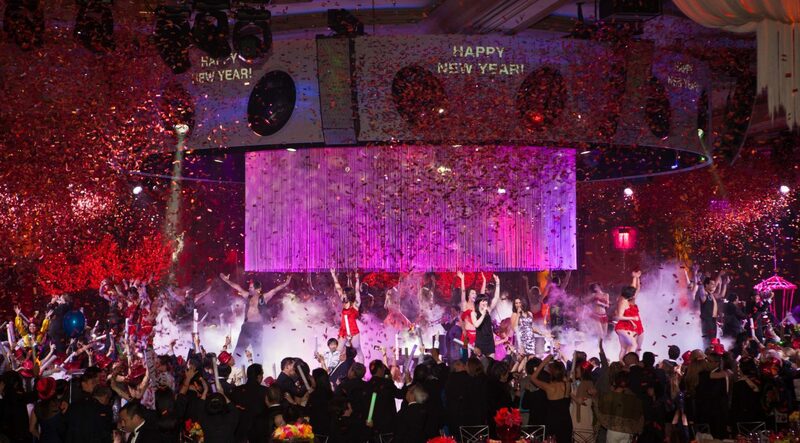 The passion with which all of you perform is really what makes our gala so amazing. 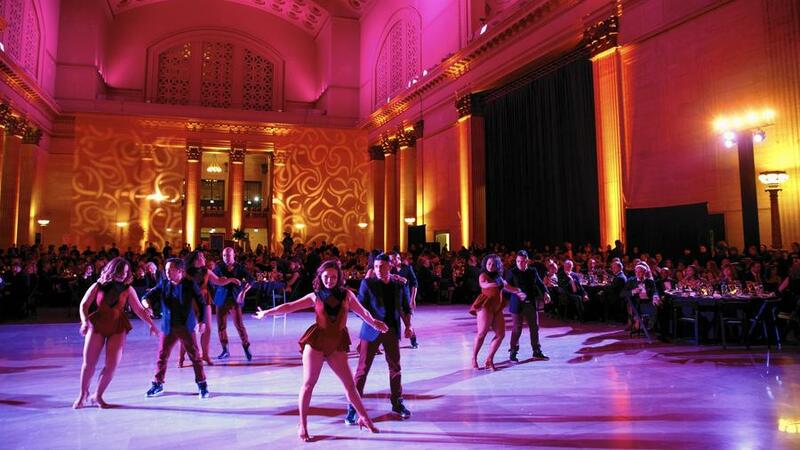 Thank you so much for the incredible performance on Friday at our Hope Gala! You and the band are so fun, professional and talented! Our dance floor was packed more than it’s ever been before, you did a terrific job MCing between our event elements, and we’re getting rave reviews from our guests. I hope to have the pleasure of working with you again. You smashed it again! I’m so thankful for the way you put that extra something out for us. Just awesome! Evolution was amazing at our Bear Tie Ball! The band was so flexible and easy going and happy to jump in if I needed impromptu announcements. The crowd loved the band and was dancing down to the last second. Everyone had such a great time thanks to them! We cannot thank you enough for partnering with us! Everyone has wonderful things to say about you and Evolution! 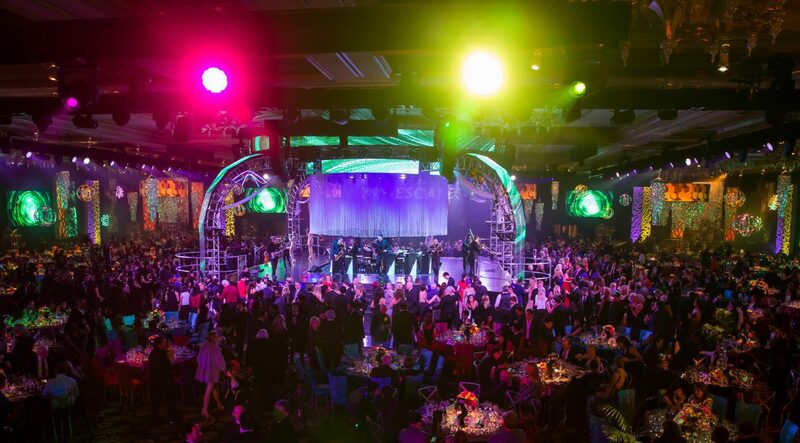 All of your belief in our kids and our mission came through in your energy at our gala. Thank you!! 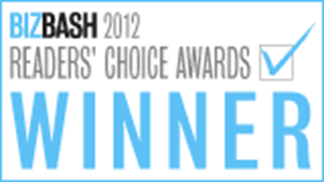 Thank you for your support of Bravo’s 10th Anniversary Awards Gala. 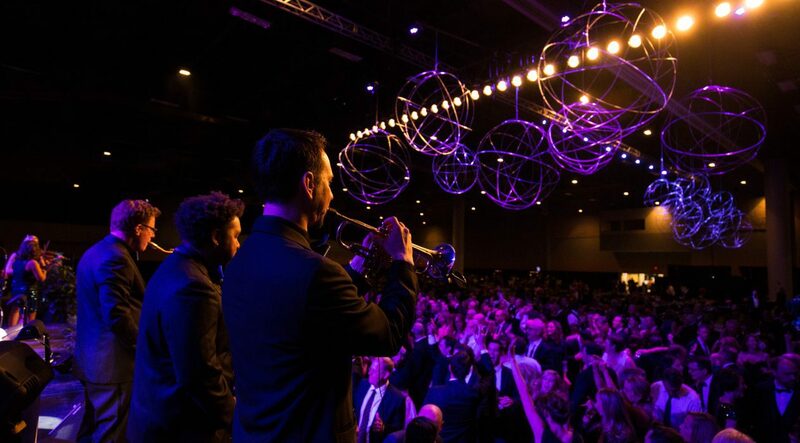 The work of you and your professional staff were essential to making this event a success and a night to remember for the sell-out crowd of 1,500 people who joined the party.